Big diplomatic win for India..
WATCH the arrogance! Rahul Gandhi’s.. The campaign #MaiBhiChowkidar has become a massive hit even before its launch. 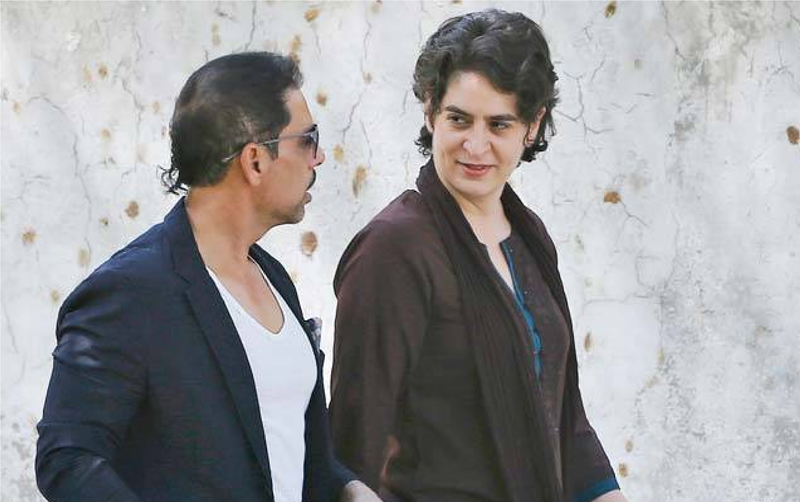 Since a year, Rahul Gandhi was attacking PM Modi with his slogan Chowkidar Chor Hai, but the entire campaign of Rahul Gandhi was toppled by PM Modi after the slogan “Mai Bhi Chowkidar” was released. Within days after the release of BJP’s latest war cry “Mai Bhi Chowkidar”, the hashtag has been tweeted 20 lakh times and had 1,680 crore impressions. Note that #MainBhiChowkidaar trended on Twitter after the Prime Minister released a video on social media, saying “Your Chowkidar is standing firm and serving the nation”, according to reports. Even though the launch of the campaign is still over a week away, PM Modi has decided to further strengthen the campaign as he will address over 25 lakh Chowkidars (watchmen) through audio bridge medium, today. Union Minister Ravi Shankar Prasad said that “On 31st March, PM Narendra Modi will interact with Chowkidars from different walks of life at 500 locations across India through video conference. Every person who is doing his work honestly and sincerely is a Chowkidar and he is with PM Modi”. PM Modi had kick started this campaign stating “Your Chowkidar is standing firm and serving the nation. But, I am not alone. 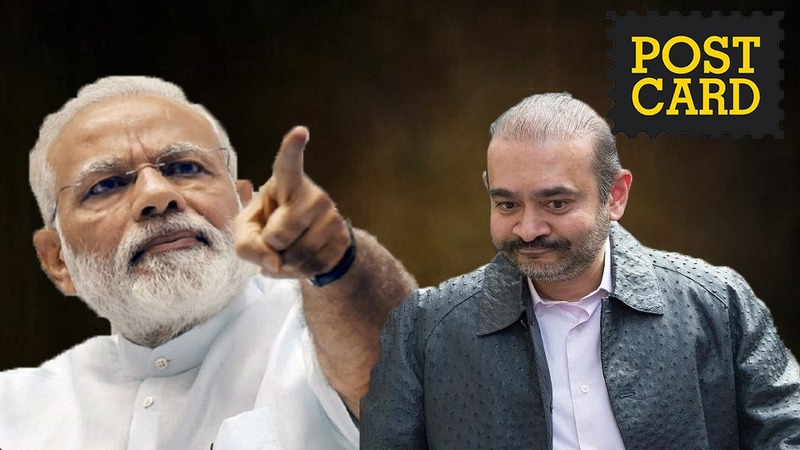 Everyone who is fighting corruption, dirt, social evils is a Chowkidar. Everyone working hard for the progress of India is a Chowkidar. Today, every Indian is saying #MainBhiChowkidar”. Soon after this tweet, support poured in throughout the nation. 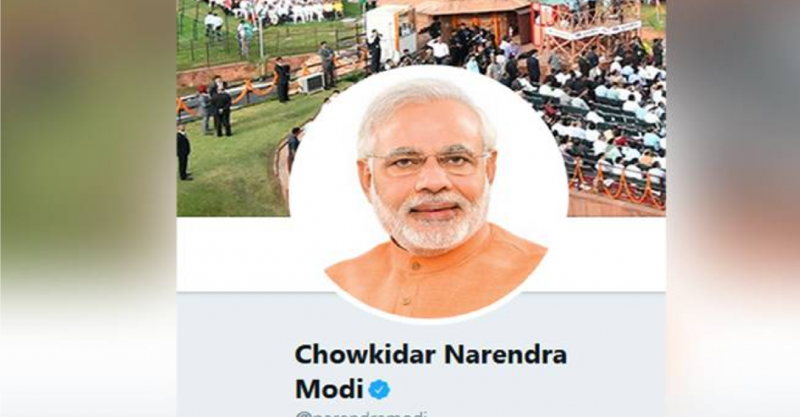 What followed this was millions of Indians started to add “Chowkidar” front of their name on Twitter. Even the union ministers added “Chowkidar” front of their name. This trend extended to even other social media platforms like Facebook and Instagram. Looking at this, Congress party went totally defenseless. Few started to mock the Congress supporters to add “Pappu” front of their name on social media platforms.